In this interview, the Nigerian principal whose school produced the best 2018 A-level results in the UK, and who was also honoured by the Queen, told us how his school made it happen – and why it can happen even in Nigeria. 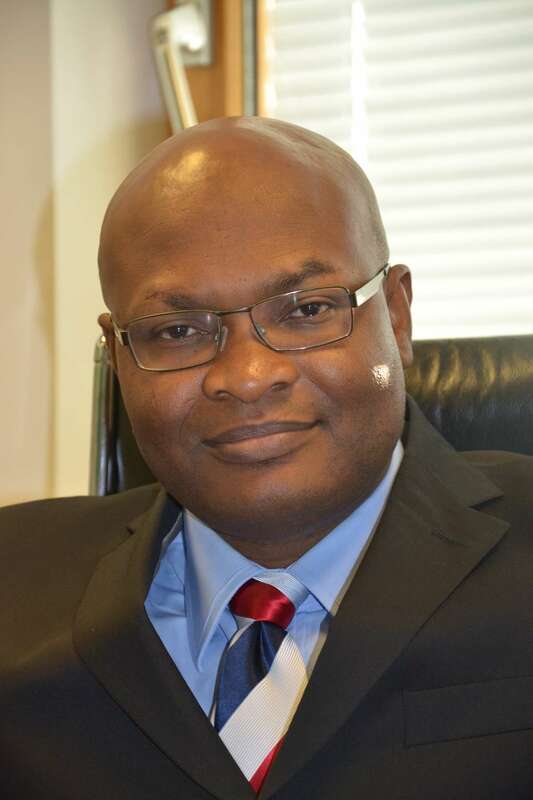 In this interview, the Nigerian principal whose school produced the best 2018 A-level results in the UK, Dr Dayo Olukoshi, and who was also honoured by the Queen, told us how his school made it happen – and why it can happen even in Nigeria. Do you remember how you received the news that over 100 of your students obtained straight As in this year’s A-Level? I was of course very delighted but not surprised. We have a robust tracking system in place in our school to monitor the progress of our students and act swiftly on any indications of underachievement or underperformance in relation to targets. Brampton Manor Academy has produced many students who went on to Oxford. More are going there this year. What is the school doing differently? At Brampton Manor, there are no gimmicks. We focus strongly on getting the basics right: consistently good quality teaching; ambition; excellent attendance and hard work. Our school motto ‘success through effort and determination’ sums up our approach here at Brampton. This year 20 students gained places at Oxford and Cambridge universities, with many more securing places at world class universities like Imperial College, London School of Economics (LSE), Durham University and St Andrew’s University to name a few. We believe very strongly that there is no ceiling to what our students can achieve. How do you keep teachers motivated and committed to their job at BMA? Our teachers get a lot of job satisfaction and motivation from seeing the fruits of their hard work translate into life-changing outcomes for the students they are privileged to educate. When we recruit teachers, we are looking for people that share our missionary zeal – life changers! We eliminate unnecessary bureaucracy and empower our staff to take risks and innovate in their classrooms. Learning is fun and enjoyable and our teachers do their utmost to make sure that every hour they spend with their children is purposeful and impactful. Apart from having committed teachers and hard-working students, what other factors have contributed to the school’s the academic success over the years? At Brampton Manor, we have a shared vision and a common purpose. Although we are located in a deprived part of the country, we believe that so-economic disadvantage must never be allowed to be a barrier to our students’ academic and social achievements. So, we have a culture of high expectations here at Brampton and you will never find a teacher here at Brampton say to a student that they can’t achieve their dreams. In return, the students are motivated by the belief of the staff in their potential to achieve great things and as school leaders, we tap into this by creating an enabling environment in which dreams translate into reality. What specific lessons can other schools, especially those in less privileged areas/parts of the world, learn from Brampton Manor Academy’s success story? There are no secrets or short-cuts to success: you need good quality and passionate teachers. An education system can never be better than the quality of its instructors/teachers. "We believe very strongly that there is no ceiling to what our students can achieve." The quality and standard of education in Nigeria continue to be a source of concern. What do you think could be done to improve them in Nigeria? I was quite fortunate to receive good quality education during my secondary school education in Nigeria at Federal Government College Sokoto under the excellent leadership of the Principal, Mr. Harwood and the subsequent Principals (Mr. Adigwe and Mr. Ajepe). The teachers were first rate: very well qualified in their subjects and they had a strong passion for teaching and our wellbeing. We also had excellent teaching and non-teaching resources to ensure that we developed into well-rounded individuals. We need to go back to that era in Nigeria. When you meet Nigerian parents sending their children to schools abroad (in the UK, and elsewhere), how do you feel, especially because Brampton Manor is a public school? I think this is a matter of personal choice for each parent. Schools shouldn’t just be about results (important though they are) but about a nurturing environment that would enable each child to grow up into confident and well-rounded individuals prepared for the world of work. So, my advice will be that parents should schools (fee paying or not) that they believe will best meet the individual needs of their children. I joined Brampton Manor as the Principal/headteacher in 2008, having previously worked as a teacher and senior leader in various UK schools since 1992. What sort of challenges have you faced over the years and how did you overcome them? I consider every challenge I have faced as an opportunity to excel rather than an obstacle to overcome. A single-mined focus on the end goal is always helpful in overcoming challenges. Have you been faced with racism? Of course I have encountered racism (both direct and indirect) but you must never allow bigots to define who you are or alter your destiny. How do you stay focused especially when you find yourself in difficult, racially-charged situations at work? To lose focus is to hand victory to bigots! A person with clear mission and purpose cannot and must not allow themselves to be deflected by the ‘noise’ of a tiny minority of petty-minded individuals. Having said that, I must say that the UK and London in particular is such a racially diverse community and the harmony that exists between the different groups (whilst not perfect) is still worthy of celebration. Have you ever considered coming back home to teach? At Brampton Manor, a significant portion of our students are from Nigeria and other African/Caribbean countries, so in a way, I feel like I am at home already. I am a man whose paths are led by God and where He sends me, I will go without question or hesitation. Do you belong to any network of Nigerians in diaspora? Not as such – I attend KICC church though and enjoy the inspiring and motivational teachings of Pastor Ashimolowo. How do you stay in touch with home (Nigeria)? I still have a lot of family in Nigeria who I am in touch with regularly. You’re one of those the Queen will decorate with MBE. What does that mean to you? Actually, I was awarded an OBE (Most Excellent Order of the British Empire), which is a higher honour than the MBE by Prince Charles on behalf of the Queen on my birthday! The OBE was for ‘services to education’. Although the honour was given to me, it really is for all the staff that have worked tirelessly over the years to help make a difference to the lives of our young people. How do you balance work with family? Now, that’s an area that I still need to work harder on. I am fortunate to have the support of a strong leadership team, to whom I am able to delegate a lot of responsibilities. I also enjoy the steadfast and unalloyed support of my beautiful wife (Sola), which makes so much easier for me to achieve a better balance. I think my scorecard in this area will read ‘can do better’. What is your biggest concern about the state of education in Nigeria? There is no question that Nigerians are talented, hardworking and intelligent people and we are currently operating significantly below our capacity and potential. Education must be prioritized, otherwise, we risk condemning generations of our young people to a life of underachievement and failure. What do you think can be done to change the course? We need committed leadership and a re-orientation of the populace. Nigeria is our country and home and we have no other. No one can make Nigeria better other than Nigerians! In order to change course, we first need to recognize the status quo isn’t acceptable and this isn’t just a matter for the government! It’s been reported in some circles that CNN and Sky did not report/or under-reported your school’s achievement. Is that correct – and you think there’s a racial motive, if it’s true? I am not aware of this and even if it is true, I am not bothered. We don’t do what we do here at Brampton Manor for media and public acclaim. Speaking personally, my confidence and trust is not in man, but in God. As far as I know, the news of the school’s success was reported by the BBC, Voice Newspaper and Huffington Post amongst others. Is any of your children interested in becoming a teacher? I don’t know yet – I simply commit them into the hands of God and ask Him to direct their paths. However, I cannot think of a more rewarding profession to be paid to do what you enjoy! There appears to be an upsurge of Nigerian professionals migrating abroad. Do you think the trend would be reversed anytime soon? There are many talented and excellent Nigerians occupying prominent positions in virtually every sphere of human endeavor all over the world. These Nigerians are making a difference that goes well beyond their current place of abode/residence. It also the case that a number of professionals are migrating in order to be able to upskill themselves better and practice their craft more effectively. I am sure that as Nigeria becomes a more enabling environment for such people, the trend will be reversed. There is hope for our beloved country and I am confident that Nigeria will one day become the envy of the whole world. As the Lord leads me.